Refer to your manufacturer’s shop manual for specific disassembly procedures. Disconnect the carbs from the mounting bracket. Remove the carb tops and float bowls, keeping all the parts to each specific carb separate. Remove the throttle slides, jets, float pins, and float. Inspect all parts for excessive varnish build up, clean with small wire or guitar string. Remove all rubber parts – o-rings, floats, vacuum diaphragms, etc. 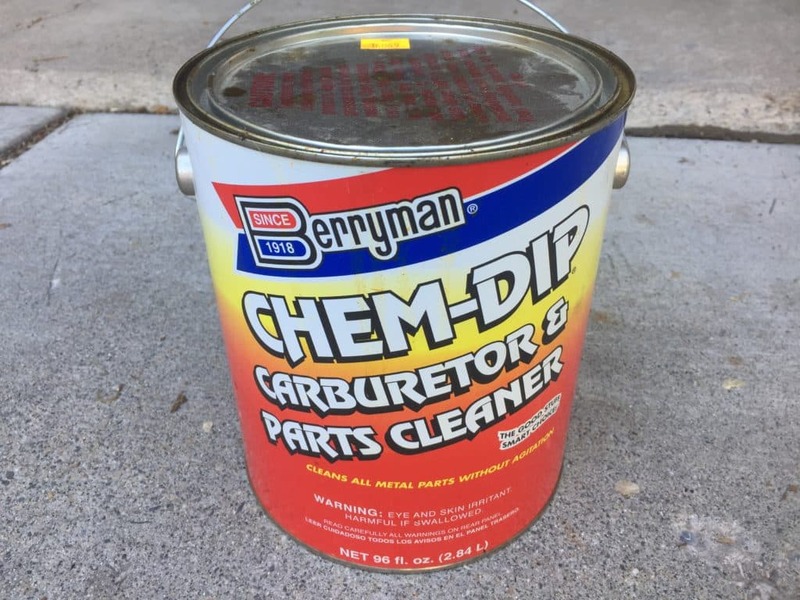 One carb at a time, lower the metal parts into your carburetor cleaning dip and let it sit for a few hours. Remove the carb and set on a towel. Carefully wipe and clean each individual carb body and jet with paper towels and cotton swabs. Use wire to get in between small jet holes. Spray each airway, fuel passage, and jet with carb cleaner spray to ensure that each hole is clear. Dry them out with compressed air. Repeat for the other carbs. Replace any o-rings, rubber hoses, and gaskets with a carburetor rebuild kit. Reassemble your carbs according to your service manual. Clean carbs will help your motorcycle engine run better. If you’ve just bought a motorcycle that has been sitting for a long time, then the chances are pretty good that the carburetors will need a thorough cleaning. Get your motorcycle shop manual out to read about the exact sequence for removing the carbs from your motorcycle and taking them apart. Loosen the screws that tighten the manifold clamps. Pop off the carb rack. Be sure to go slow and keep things organized. Wait until you have a dedicated workspace before you start disconnecting the carbs from their rack and getting into each individual one. With your rack of carbs off the bike, you can disconnect them by unscrewing them from the mounting plate. There are typically 2 to 4 screws holding each carb in place. Before you can get into each individual carb you may also need to remove the choke rod and the throttle shaft. Set your workspace up with separate containers for each of your motorcycle’s carburetors. You’ll want to keep all the internal components with the carb body they came from. Remove and set aside any rubber parts before you use any carb cleaner. This is especially important if your throttle slides work with a rubber diaphragm. 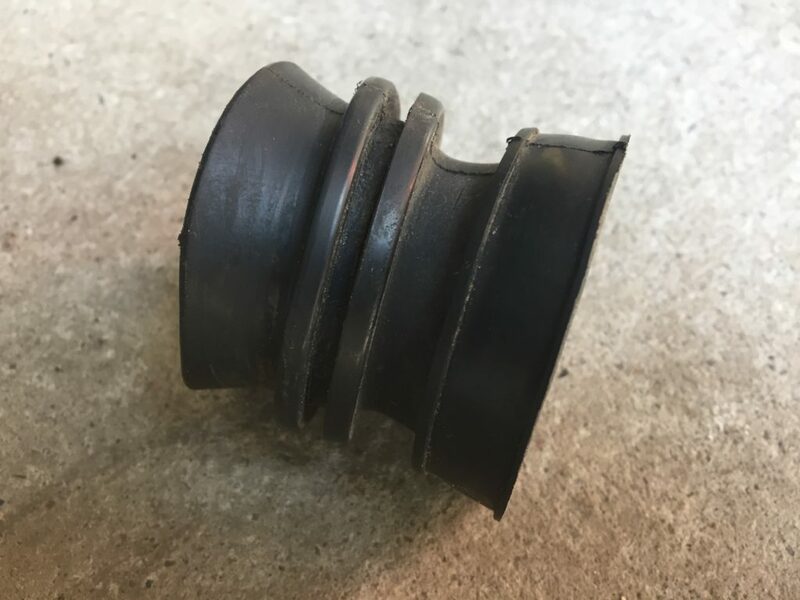 The rubber diaphragms are easily damaged with carb cleaner and are often expensive to replace. If the bike has been sitting for a long time, be gentle when you remove the throttle slide because the rubber diaphragm may be stuck. If the metal throttle slide is stuck inside the carb body, you can try soaking it with penetrating oil or apply heat with a heat gun. Unscrew the throttle slide tops and the float bowls. You can access and remove most of the jets from the bottom of the carb. Be sure to remove any o-rings and rubber/plastic carb floats before using carb cleaner. Before removing the air screw or pilot screw, turn it in until it stops and count the turns. When you reassemble the carbs, count the same number of turns when installing each air screw. Remove the jets and be careful not to strip them or break any legs/supports within the body of the carb. Be gentle and use carb cleaner to loosen up varnish that may be fusing things in place. Certain jets are pressed in. Certain jets are not designed to be removed. Once you remove all the rubber and the jets, you can dip the carbs in carb cleaner if they are badly clogged up with varnish. After soaking them for a while, remove the carb, wipe off the excess carb cleaner, and spray each passage with spray carburetor cleaner. Watch to make sure the the carb cleaner spray come out of a different hole that it is sprayed in. You can also use a small wire guitar string to clean the small passageways. You should wear gloves, goggles, and a respirator when cleaning with carb chemicals. After going through the clogged carb parts with carb cleaner and guitar string if necessary, a pass with compressed air can be useful. If the rubber manifolds that connect the carburetors to the engine and the airbox are old and hard, you should either replace them or try to restore them. Replacements are easier to find for some models than others. If you absolutely can’t find a replacement, you can try to restore the rubber by soaking them in Armor All or Wintergreen oil. If the rubber carb boots are too hard, they can crack and cause vacuum leaks. Spray some carb cleaner around the boots when the engine is running and watch/listen to the RPMs. If there’s a fluctuation when you spray, the old carb boots are likely the culprit. After you’ve thoroughly cleaned the carbs, you’ll need to rebuild them. You can usually find aftermarket motorcycle carburetor rebuild kits, some of which are better than others. If you’re able to clean and reuse the jets that were already in your carbs, try to do so. Aftermarket jets tend to be slightly different than the OEM parts and can cause tuning issues. O-rings, gaskets, and washers from aftermarket carb rebuild kits are usually okay to use. However you rebuild your carburetors, it helps to start from a stock configuration and tune from there as your preform carb synchronizations and plug chops to get the motorcycle running correctly.